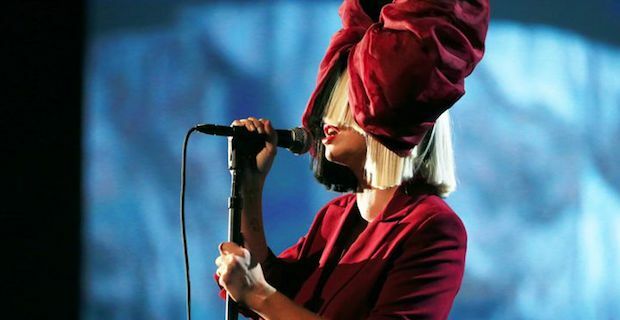 Sia is known for her signature hairstyle that involves a blonde wig of some type covering her eyes if not entire face. She states that this helps her stay true to herself and conceal her identity. But there is so much more to this 40-year old Australian artist who had the recent hit song “Chandelier”. 1. She is an extremely talented song-writer. She has written and co-written pieces for numerous artists. Some examples include Rita Ora’s “Radioactive”, Ne-Yo’s “Let Me Love You”, Lea Michele’s “Cannonball”, Rihanna’s “Diamonds”, which took Sia a reported 14 minutes to write, and Beyonce’s “Pretty Hurts” who called Sia a genius. 2. She helped write the 2014 FIFA World Cup Song, “We are One (Ole Ola)” that features Jennifer Lopez and Claudia Leitte among other musicians. 3. She was a vegetarian and turned full vegan in 2014 and has helped PETA in promoting the importance of spaying and neutering pets. She also has a loud voice in speaking out about animal cruelty. 5. In 1997 she was on her way to be with her boyfriend in London, but while at a stopover in Thailand she had a phone call saying her boyfriend died in a car accident. 6. Sia has suffered from drug and alcohol abuse and depression and at one point was about to attempt suicide. 7. She is a huge fan of Kathy Griffin. One time Kelly Osbourne, Kathy Griffin and herself were actually thrown out of a movie theatre while watching Under the Skin for laughing. 8. She is bisexual and has stated she falls in love with the person, not gender. She came out in 2013 saying “I’m queer. I don’t really identify as a lesbian because I’ve dated predominantly men. But I’ve certainly dated women.” In 2014 she married movie maker Erik Anders.